Porsche 918 Spyder Sold Out! A Dutch Porsche dealership has confirmed to GTspirit.com that the brand new Porsche 918 Spyder has been sold out. The ordering of Porsche’s hybrid supercar started at the end of March and in less than two months all production slots seem to be taken, at least the European ones. He stated to us that he will sell at least two of these unique sports cars in the Netherlands. The production will start on the 18th of September 2013 (9/18). The production will be limited to 918 cars and the production version is based on the concept revealed at the Geneva Motor Show 2010. Starting prices in the United States will be $ 845,000. In Europe prices start at € 645,000, subject to VAT and country-specific charges. The 918 Spyder will be powered by a plug-in hybrid system that will include a high-revving, mid-mounted V8 engine with capacity of more than 4.0 liters and producing more than 500hp. The engine will be based on the Porsche RS Spyder racing. Power will be transferred to the rear wheels via Porsche’s compact, seven-speed Porsche-Doppelkupplung (PDK) double-clutch gearbox. This is complemented by two electric motors – one each on the front and rear axle – with a joint mechanical output of at least 218hp. It accelerates from a standing start to 100km/h in a maximum of 3.2 seconds and has a top speed of more than 320km/h. The top speed on purely electric power is 150km/h. 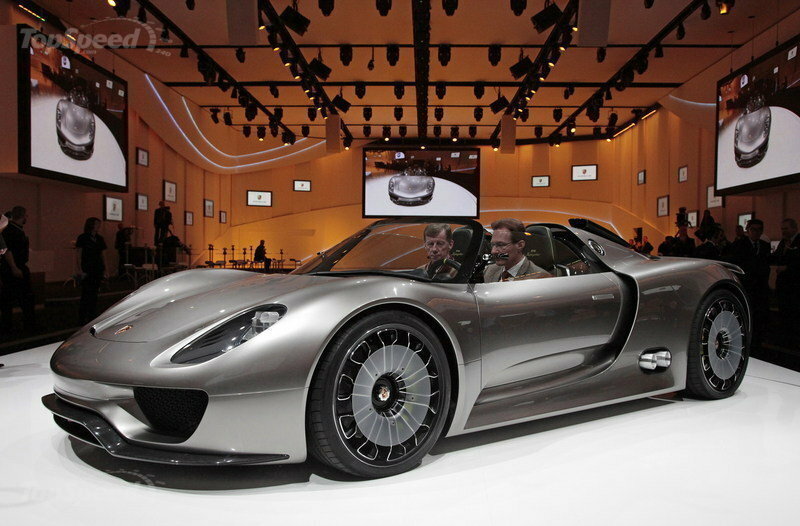 For those who placed an order Porsche offered the exclusive opportunity to acquire a 911 Turbo S “Edition 918 Spyder”. It is unknown how many people took the chance and ordered the special edition and limited 911 Turbo S.